JerryScript was also one of The JS Foundation’s very first sponsored projects. The New Stack caught up with the foundation’s executive director, Kris Borchers, to hear more about this exciting evolution in the IoT market — one that both incorporates an open source technology into a smart device, and then invites developers for the first time to build on top of the software and contribute apps. Can you give a quick history of JerryScript? JerryScript is definitely growing, both in use as well as a community. People are really intrigued by the possibilities it represents. What were, or still are, barriers for JerryScript’s breakthrough into the smart device production environment? JerryScript first shipped on Pebble smartwatches. Then Pebble was acquired by Fitbit, who definitely started utilizing it immediately to build their own watch. 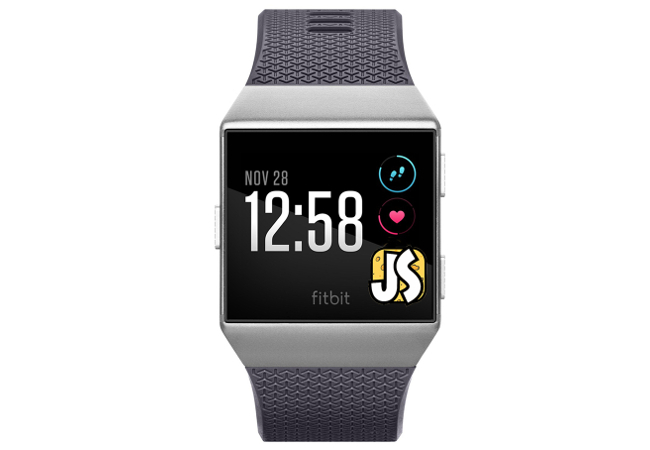 Pebble had built Rocky.js, a framework serving as the bindings between JerryScript and the actual device APIs, and Fitbit still uses a version of that to bind JerryScript to the Ionic. Rocky.js is currently not open source, in part because it’s not clear how beneficial it would be either to the project or the JerryScript ecosystem to open source it because it’s so very Fitbit specific. That said, JerryScript benefits a lot from Fitbit’s active involvement — any new features and pieces that run better with their bindings, they contribute that back to JerryScript. Tell us more about the Ionic Software Development Kit (SDK)? It’s a double-edged sword. We have so much fast innovation within the ecosystem driven by people just creating, which is awesome but at the same time also how you end up with 100 best date-picker jQuery plugins of last week. Everybody kind of doing the same thing and repeating themselves. We don’t want to stifle creativity because every now and then something truly new and useful emerges, but it makes it hard for people to figure out ‘What should I be using right now?’ So if there are places, especially in an emerging space like this, where you can potentially replace closed source with something already existing in open source — it’s worth the search. The Linux Foundation, which manages the JS Foundation, is a sponsor of The New Stack.